I'm all about finding out how to make my hair better. 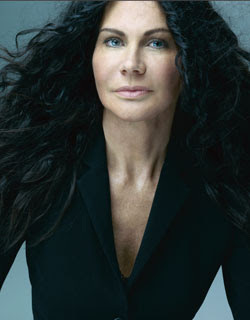 So when I came across Australian hairstylist Wendy Iles, you'd better believe I asked her tons of questions! Find out what this fascinating stylist had to say after the jump. How did you first become interested in hairstyling, and what led you to become a hairstylist? I was interested in hairdressing since forever it seems. As a child, my cubby house was always my imaginary salon. It was just so expected from all who knew me my destiny was in hair. Have you worked with any hairstylists who inspired you? What did they teach you? I trained with Vidal Sassoon in London. He was a great inspiration for me and still is today. I draw on my Sassoon knowledge daily when I work. My cutting techniques especially, also the striving for perfection which is a big part of the Sassoon technique. In 2008 a German publishing company Printkultur published a book on my European hair archives. This is a beautiful coffee table book named ARCHIVE -- a book about hair, edited in 3 languages: English, French and German. It's a selection of 228 pages from the European editorial work I have worked on with the fashion industry's top photographers, stylists and models, showing the importance of hair and the power it brings to a photographic beauty and fashion image. 1) I make this hair cream of vitamins that gives amazing hair shine. 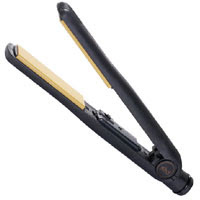 2) I love also the ghd Straightening Iron that one can also curl with. 1) Never economize on shampoo and conditioners. A shampoo without detergent (less lather, less detergent) and a pH-balanced conditioner are essential. 2) Never use too much product. Too much product and one loses elasticity and suppleness. 3) A perfectly executed base (blowdry or roller placement) will have the final coiffure fall into place beautifully. I adore hair, I'm passionate about my job. My job is full of stimulating challenges every day -- a new story to create from hair, with new model, actress, new teams, new clients. My reward is achieving what is asked of me, or when allowed, [to] create a look that pleases everyone. Being a hairdresser must be fun -- but what do you do for fun when you're not playing with hair? I love gardening. To get lost amongst all that nature is a wonderful release from the exact aesthetics of the beauty business.